Use the Create Your Piece menu to indicate preferred specifications including wood, height, edge, and hand-rubbed finish for your Sanibel Pub Table. Shown in a solid table top, our Sanibel can be different things to different people. 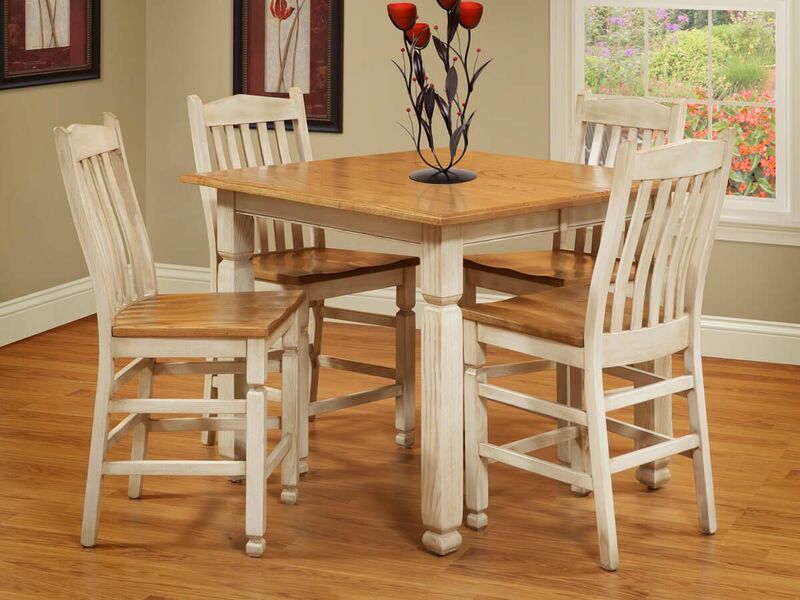 Keep the two-tone finish and choose a rustic wood for a cozy cottage feel in this Amish crafted pub table. Otherwise, select any of our premium, traditional hardwoods and one of our custom finishes that will make your Sanibel Pub Table fit perfectly in your home. 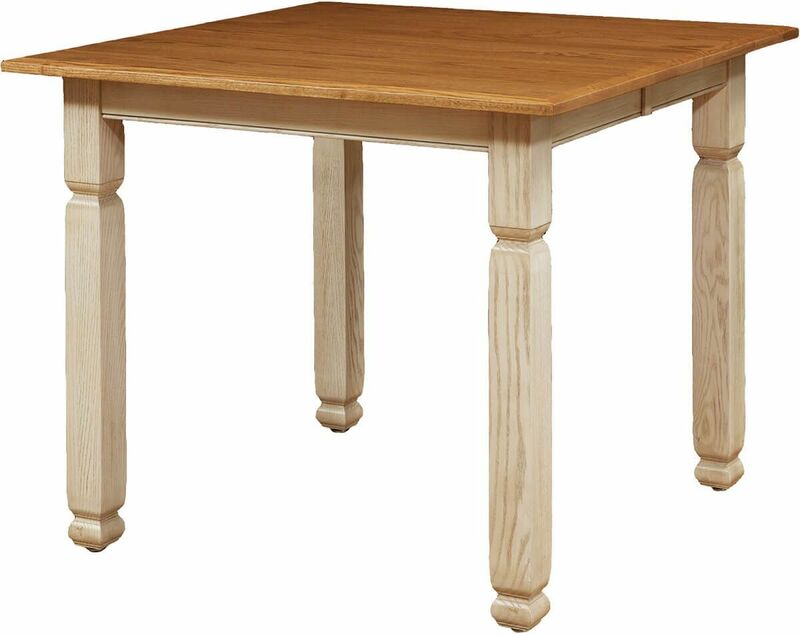 Seating six when you opt for two expansion leaves, this tall wooden table is available in either 36”or 42” heights. Leaves extend on wooden slides and the entire surface is coated in a water resistant catalyzed finish. The one inch thick straicut table top is cut by hand with the edge profile you prefer to completely customize your Sanibel Counter Height Table. Table rocking is easily eliminated with a twist of the levelers that come standard in each leg.